3/22/2017Postdoc Live! featuring Erica Clinkenbeard, PhD, Department of Medical and Molecular Genetics, presenting "FGF23: The key regulator of phosphate in health and disease"
The wait is almost over. Joining peers around the nation, fourth-year IU School of Medicine students will learn where they will complete their medical residencies during Match Day festivities on Friday, March 17. The event will be held in the Van Nuys Medical Science Atrium on the IU School of Medicine-Indianapolis campus. The simultaneous nationwide opening of the envelopes with details from the National Resident Matching Program (NRMP) will take place at precisely noon EDT. Students will share the details of the match on stage and enter the location into an interactive map. Limited seating is available, with students and families receiving preference on the first floor of the atrium. IU School of Medicine faculty and staff are encouraged to support the students from the second and fourth floor balconies. IU School of Medicine will promote Match Day via its social media channels, and the NRMP is asking participants to use the hashtag #Match2017 in social media posts. The event timeline and information on live streaming and visitor parking are available by visiting Medical Student Education. U.S. News & World Report released its annual Best Graduate Schools rankings this week with IU School of Medicine moving up in both categories for schools of medicine: research and primary care. The school improved from last year in both categories, moving from number 47 to 45 on the list for research and from number 50 to 41 in primary care. The report ranks a wide range of graduate programs. Other IU graduate programs listed in the rankings include library and information studies, business, education, the humanities, law, nursing and social sciences. The rankings methodology considers a variety of factors. For the complete list of medical school rankings, visit usnews.com. As part of the daylong gathering in Evansville, faculty are discussing best practices, troubleshooting issues and meeting with students to share advice about career choices. Leadership from local health care affiliates that host clerkship rotations also attend. On Thursday, March 30, the IU School of Medicine regional campus tour stops in Indianapolis for two student sessions. First- and second-year students are invited to attend from 11am-1pm to speak with department chairs and clerkship directors. A second session for third- and fourth-year students will be held from 5:30-7 pm with department chairs and residency directors available for discussion. Both events will be held in the Ruth Lilly Medical Library, Room 317. The sessions will be conducted in an “open-house” format with students attending as their schedules allow. Representatives from IU School of Medicine Student Support Services, including Joseph DiMicco, PhD, director of the school’s new ombuds office, will be on hand for both sessions. Refreshments will be served, and students will be able to ask questions and get information about various student services and support resources. As with the other regional campus tours, IU School of Medicine Dean Jay Hess and other executive and associate deans will also attend. Assistant deans for all phases of the new curriculum will be available to answer questions. Although Indiana University is rolling out the new CrimsonCard this spring, IU School of Medicine ID cards will remain valid and continue to work until at least June 30, 2018. 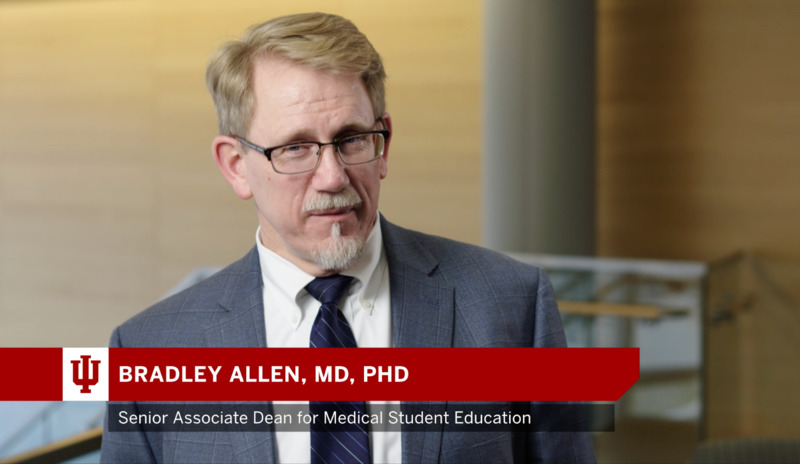 Current IU School of Medicine students (undergraduate, graduate and professional), faculty and staff, including part-time and student workers, should disregard the timing indicated in the IU-wide promotion and wait until later this summer, to secure a replacement card. A detailed FAQ, including information about varying processes at each IU School of Medicine campus, will be available soon. Reminders and updates will be shared throughout the summer in INScope and via MedTV. Immediate questions should be directed to Vince Sheehan at vsheehan@iu.edu. The National Institutes of Health (NIH) grant, “Short Term Training Program in Biomedical Sciences” from the National Heart, Lung, and Blood Institutes was recently renewed and funded with increased support to the tune of $238,257 per year for the next five years. A substantial portion of medical students participating in the Summer Research Program in Academic Medicine (SRPinAM) are supported by this grant. The renewal and increased support from this grant, written and submitted by Nadia Carlesso, MD, PhD, professor, Department of Hematology and Hematopoietic Cell Transplantation at Beckman Research Institute at City of Hope, and Janice Blum, PhD, professor of microbiology and immunology, IU School of Medicine, increased the number of funded student positions from 24 to 32 positions per summer. “This increase in funding allows Indiana University School of Medicine to offer even greater resources for medical students to pursue research and scholarly activities,” said Rebecca Chan, MD, PhD, director of SRPinAM. SRPinAM facilitates the conduct of laboratory-based research projects by medical students during the summer between the first and second years of medical school. Students are assigned to a laboratory mentor and provided resources to conduct an independent project. Millions of intensive care unit patients in the United States experience delirium, an acute brain failure resulting in confusion and long-term memory problems. 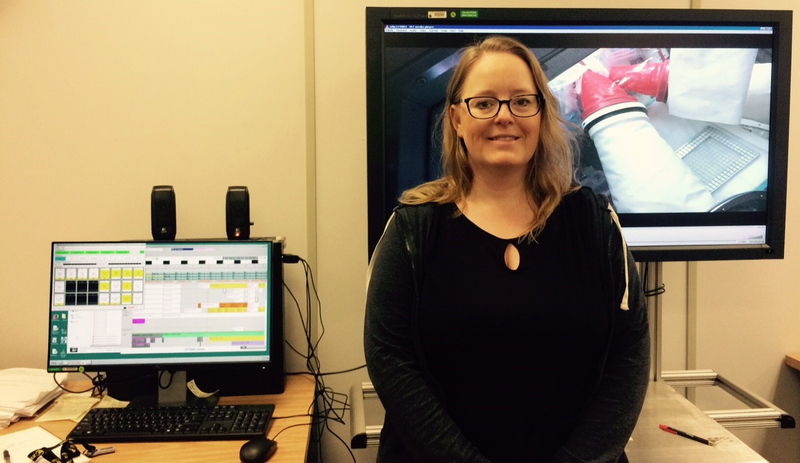 Researchers from the Indiana University Center for Aging Research have developed and validated a novel easy-to-administer tool to score and track delirium severity in the ICU, enabling clinicians to make better decisions about the brain health of ICU patients. Typically, ICU patients are evaluated twice daily to determine whether they have delirium, however the universally used "yes" or "no" tests do not indicate severity of the delirium. Existing tests to determine delirium severity are cumbersome and are seldom administered because they are difficult to use in ICU patients on ventilators and require advanced staff training. IU Center for Aging Research investigators have developed and validated the Confusion Assessment Method for the Intensive Care Unit 7--the CAM-ICU-7 for short--an easy-to-use delirium severity instrument that scores delirium on a scale of 0 to 7--mild to severe delirium--and is useable with all ICU patients, including those on mechanical ventilation. Thank you to those students who have completed the Graduate Questionnaire (GQ). So far, IU School of Medicine has a 27 percent completion rate, with an additional 12 percent of students “in progress” on the survey. That compares to a national average response rate of 35 percent. As a reminder, qualifying students received an initial request from the AAMC in February to complete the survey. To inspire GQ completion, alumni--the student’s future colleagues--shared thoughts on the changes their input encouraged and what they most valued about their medical school experience. Take a look. Benjamin Stivers, a member of the IU School of Medicine class of 2019, was recently named a recipient of the American Physiological Society’s 2017 Excellence in Professional Student Research Travel Award. Created in 2012 to encourage MD/DO students and professionals to continue their involvement in physiology research throughout their careers, this award is annually given to up to 10 MD/DO students who submit first-author abstracts and present their physiology research at the Experimental Biology meeting of the American Physiological Society. Stivers received the award for his abstract titled, “Diabetes Exacerbates Coronary Atherosclerosis in Ossabaw Miniature Swine with Metabolic Syndrome,” and also won first place for his presentation at the Indiana Physiological Society’s annual meeting last month. The abstract was the result of Stivers’ summer 2016 research work with Michael Sturek, PhD, professor and chair, IU School of Medicine Department of Cellular and Integrative Physiology. The research experience was facilitated through the Student Research Program in Academic Medicine (SRPinAM) and Indiana Medical Student Program for Research and Scholarship (IMPRS). The IMPRS facilitates IU School of Medicine medical student participation in various medical research and experiential opportunities, including laboratory, clinical, health research outcomes and community health education. Help the homeless in central Indiana by donating new or gently used books during March. The IU School of Medicine Literature in Medicine student interest group (SIG) is sponsoring its second annual book drive to help Hoosiers who are homeless. This month the SIG is collecting books for children or adults. Donation boxes are located on the IUPUI campus in University Library, the Ruth Lilly Medical Library and the IU School of Dentistry library. Funding from the American Cancer Society Institutional Research Grant (ACSIRG) is available for new pilot projects to assist new investigators holding the rank of assistant professor, research assistant professor or assistant scientist. Applicants must not have an active national competitive grant (i.e., NIH, NSF, ACS), regardless of the topic. This grant provides support for beginning investigators to enable them to initiate their independent research program. The purpose of the ACSIRG program is to attract new investigators from Indiana University into cancer research and to provide support for new pilot studies that will produce preliminary data for the investigator to develop into studies that will compete successfully for external, national funds from both federal and private sources. Faculty from the IU School of Medicine and its regional campuses; and the schools of nursing, dentistry, optometry, public and environmental affairs, health and rehabilitation sciences, liberal arts, law, science and informatics are encouraged to apply. The IU School of Medicine Department of Ophthalmology is committed to glaucoma research as a means to slow the progression of vision loss for patients with glaucoma, and, eventually, developing a cure. In addition to conducting ongoing clinical research and trials, the Department of Ophthalmology invites you to become a part of the fight against glaucoma by scheduling a routine eye exam with one of its faculty members. Opportunities are also available to participate in clinical research trials. A collaborative project between the World Glaucoma Association and the World Glaucoma Patient Association, World Glaucoma Week (March 12-18) contributes to the elimination of glaucoma blindness by encouraging individuals to receive regular eye examinations, including evaluation of the optic nerve in the eye where glaucoma damage occurs. According to the Glaucoma Research Foundation, it is estimated that over 3 million Americans have glaucoma but only half are aware that they have it. To schedule an appointment with a department faculty member, call the Eugene and Marilyn Glick Eye Institute at 317-944-2020 or 877-224-8393. Plan now to participate in the second annual IU-Kenya Partnership in Surgery Golf Scramble on Sunday, May 21, at Golf Club of Indiana, 6905 S. 525 E, in Lebanon, Indiana. For more information, to register or make a donation, visit http://go.iu.edu/1tW9. Michael O. Koch, MD, chair, IU School of Medicine Department of Urology, and John P. Donohue Professor of Urology, recently received top honors in the Advancements in Health Care category of the Indianapolis Business Journal’s Health Care Heroes awards. Dr. Koch was recognized for his innovative use of high-intensity focused ultrasound (HIFU) to treat prostate cancer. Read the IBJ article featuring Dr. Koch. IU School of Medicine-West Lafayette opened the new Dr. Steven C. Beering Medical Education Wing with a ribbon cutting on Tuesday, March 7. Steven C. Beering, MD, PhD, former dean of the school and former president of Purdue University, demonstrated exemplary leadership at both institutions and was a key figure in creating the statewide system of medical education in Indiana today. He was the youngest dean to be appointed to IU School of Medicine and went on to become president of Purdue University until his retirement in 2000.